How Do Different States Allocate Their Electoral Votes? It’s a bit off-season to be discussing the electoral college, but last fall I made some notes on differences in how states handle electoral votes in the national election. The importance of the popular vote can appear murky when following a live map at midnight on election night, and it took a little research for me to realize how various states really weigh the public voice. I’m going to begin with some basics that most people know and then move on to specific information on states’ elector laws. The order in which state “results” appear on the live maps we see on media networks can be extremely confusing. Sometimes states are “called” well before all districts are reporting, and before the polls are even closed. All these calls are made before results are legally decided (most states’ election boards meet in December to certify their official results). The calls we get from television networks are really the Associated Press’s educated estimate on the states’ election outcomes (based on votes already in and known behavior of non-reporting districts, etc.). So the real-time results are not actual state-reported conclusions. 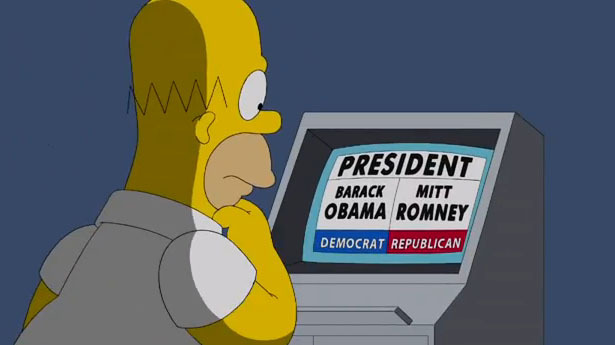 In the 2012 election, North Dakota was first called for Romney at 9:02pm ET, but its polls didn’t close until 11pm ET. North Dakota’s electors are not required by law to vote anything but their conscience – they give no legal pledge either to the state’s popular vote or a political party. But the early AP call had nothing to do with North Dakota’s electors; it was the Associated Press’s educated estimate. Yet when we see the blue and red states appearing on the map on election night and we remember, a la 2000, that the electoral and popular vote are not the same, the states being called early start to raise eyebrows: How can they know who won when the people haven’t spoken? What stops the human, fallible electors from voting however the hell they want? Rhetoric on websites like FairVote doesn’t help: “[T]here are 21 states in the union that have no requirements of, or legal control over, their electors. Therefore, despite the outcome of a state’s popular vote, the state’s electors are ultimately free to vote in whatever manner they please, including an abstention, with no legal repercussions” (source). This inaccurately suggests a division between states that regulate their electors and states that let them run wild. Yet many of the states regulating their electors obligate them to parties instead of candidates, and many (if not most) states’ election boards consist of members handpicked by political parties – this includes states without regulations on how electors vote. Even states whose electors are legally bound to cast their elector ballot with the state popular vote are part of an election orchestrated nearly exclusively by the two largest political parties (and I won’t even get into the hoops an independent candidate has to jump through to appear on the ballot, or the fact that many states won’t recognize write-in votes unless the write-in candidate submitted a petition to nominate electors, followed by a list of nominated electors, by some date earlier in the year). Other reputable websites give only outdated information on state codes or inaccurate depictions of states’ presidential elector selection procedures (this page by the National Conference of State Legislatures, for example, gives some rather convoluted explanations). Unfortunately, I can’t guarantee that all my information will be up-to-date either. Tracking down current versions of legislative code for many states is dismayingly difficult. The most current source I found was the Westlaw database, a subscription service for legal research, to which I have access through school (it’s ridiculous that not every state makes its current legislative code easily accessible online!). The most updated list I could find of states that control how electors vote was FairVote’s 2009 list (linked earlier in this article), and I was able to track down the code for all 29 states (and D.C.) that the list cites, although the list gives wrong numbers for some statutes and refers to a few that don’t exist. I tried to use publicly available information for most states, but the Westlaw excerpts are the only ones that I know are up-to-date through this summer (2013). I’d be grateful for comments concerning any outdated information so that I may correct it. I did not research code on the remaining, non-elector-restricting states, so new information concerning those states would also be welcome. But back to the election-night case of North Dakota, candidates on the ND presidential ballot each chose their own set of electors (here’s the application form). When citizens voted at the polls, they were actually voting for a candidate’s corresponding electors, but these are represented on the ballot by the candidate’s name and the candidate’s running mate’s name. This is typical of most states’ ballots, whereas a few actually list the names of the electors next to the names of the candidates on the ballot. Although votes are counted by districts, district lines don’t directly skew North Dakota’s voting results: the candidate who won the popular vote statewide in 2012 (Romney) was awarded the right to send his electors to the electoral college. So in the case of the presidential election, we should think of districts as agents for tallying their populations’ votes (that isn’t to say district division is guaranteed not to have an impact on popular results, after all, the political party in charge would probably have the organizational power to affect tallying methods/outcomes in various, possibly nefarious ways). But in any case, in 48 states, excepting Maine and Nebraska, the popular vote bears directly on which candidate’s or party’s electors are sent to the electoral college, and in these states the winner takes all: the candidate or party (depending on a state’s legal specifics) with the greatest number of votes sends all her/his/its electors to the state’s electoral college meeting to represent the entire state. Where North Dakota and 20 other states (and by my estimation D.C., which I explain later) do not place legal restrictions on electors once they are chosen, the rest of the states restrict electors’ voting in various ways, and the differences are a little more complex than the National Archives’ simplistic categories (and the Archives’ list is inaccurate anyway). Colorado, Delaware, Maryland, Montana, Nevada, Vermont, and Wyoming have laws binding electors to cast their ballots for the candidate who won the popular vote in the state’s general election. Massachusetts, Connecticut, Mississippi, and South Carolina have laws binding electors to cast their ballots for the candidate that the elector vowed, when nominated, to represent. Alabama, Alaska, California, Florida, Hawaii, Michigan, New Mexico, North Carolina, Ohio, Oklahoma, Oregon, Tennessee, Utah, Virginia, Washington, and Wisconsin have laws binding electors to cast their votes for the candidate belonging to the party that nominated the elector. There are, however, some minor differences in how the party obligation is worded in state statutes. Some states, like Alabama, obligate the elector to vote for the candidate that the party nominated at their national convention, while others, like Michigan, obligate the elector to vote for the candidate in the general election who belongs to the party that nominated the elector (the latter wording seems to leave room for a change in candidate between when the elector’s pledge is submitted and when the general election takes place). FairVote and the National Archives list Washington D.C. as legally requiring presidential electors to pledge their votes to a party, but I found no mention of this in the D.C. code. The section referenced (1-1312) by these two websites is actually about property division (and there is no 1-1312-g), and I saw nothing in the election chapter (1-1001) on party pledges. If there is in fact no obligating law in D.C., that would explain why presidential elector Barbara Lett-Simmons’ abstention did not lead to her replacement, and why she was not penalized for abstaining, in the 2000 election. A few states have laws voiding the votes of faithless electors. Michigan, Utah, and Minnesota, for example, throw away faithless votes and replace the faithless elector. Minnesota, then, expects its electors to honor an allegiance to those who nominate them, despite not directly regulating electors through pledges or penalties. Maine and Nebraska use a combination of at-large electors bound to the popular vote and district-specific electors bound to the outcome in their respective districts. Nine states have passed legislation agreeing to obligate electors to the national popular vote should 270 electoral votes’ worth of states pass similar legislation. I find this supposedly populist move well-intentioned but suspect: 1) Retaining a facade of the electoral system, including the nomination, selection, and appointment of electors, their compensation, their meetings, etc., but with no purpose other than to “light the ceremonial torch,” so to speak, of the popular vote, would be a costly lot of pomp, 2) I wonder whether having the very method of election outcome determination mutably hinge on the 270-vote quorum could lead to parties in power in individual states wielding greater national power to manipulate elections, and 3) as much as a national popular vote seems to empower the people themselves, I also wonder whether rural cultural differences specific to the less-populated states do, in the spirit of Madisonian anti-factionalism, merit some protection of rural voices from being drowned out by the great numbers of us city-folk (though perhaps not the disproportionate protection that the right-wing media machine and the NRA currently seem to achieve). On the last point I am not firm. I would not, for example, support a Mill-inspired complaint that the educated/aristocratic “minority” needs to be protected from the “class interests” of the masses. But getting back on topic, in theory, any number of electors from a state without laws governing electors’ votes could act faithlessly and vote however they wish. Yet such behavior is rendered unlikely by 1) the party and/or candidate commitments that saw them chosen as nominees in the first place and 2) the inevitable backlash of an election outcome being changed by one or more faithless electors. Presidential electors are not legally obliged by the state of North Dakota to vote as expected, but doing otherwise risks ruining their careers and friendships, or (who knows? ), maybe getting their kneecaps broken. No doubt we’d be better off if the law prevented the possibility of electors faithless to a candidate, but so far it hasn’t been one of the bigger problems with the electoral college. Plus, I’m not convinced party obligation is the way to handle faithless voting. FairVote’s page on faithless electors implies that the travesty is electors’ lack of obligation to a party, instead of advocating for electors to be obligated to their candidates. What does that mean for electors who have, by state law, pledged to vote for a party in order to serve as a candidate’s electors, after which the party switches candidates (between elector nomination/pledging and the general election?). Electors whose states obligate their vote to a party aren’t casting a vote for a particular person at all. The difference seems tiny, but differences in law can lead to differences in judicial decision when disputes occur. In party-pledge states (though this isn’t a clear category, as you’ll see in the legislative code excerpts at the end of this article), the people vote for an elector (chosen by a party) who casts a party’s vote (by proxy) for a candidate. What a mess! If all this has still been confusing, it’s worth perusing some state code (included below) for yourself. Note that many states use the term “electors” to refer to citizen voters (a.k.a. “qualified voters”), reserving the term “presidential electors” for those electors selected to vote in the electoral college. Code related to presidential electors is generally divided into sections on nomination, filling of vacancies, how electors are to vote, and elector compensation. The how-to-vote section is what interests us here, though I have included bits of the other sections to show how parties are involved in elector and election-board selection both in states that restrict elector votes and in those that don’t. Find more ToM coverage of politics here. Sources for quoted state statutes are listed at bottom of entries for each state. For states listed as having no legal obligation, I have not read the code unless it is quoted – my source for this claim can be found here; please notify me if any of the information below is out of date. For states with legislation concerning the National Popular Vote, my source is Wikipedia’s page. For states with lengthy code quotations, I’ve highlighted relevant bits for reader convenience. The National Popular Vote provision as it appears in the D.C. code is quoted at the end of the state listings. When enough states to total 270 electoral votes join the compact, it will activate. Last on this page is a list of some useful links concerning state code online and reporting times for the 2012 election. * For information on the more timely subject of restrictive voting laws, see the Brennan Center’s roundup. Certification of names of candidates; nominating petitions; names of electors; statement of electors. (a) When presidential electors are to be chosen, the Secretary of State of Alabama shall certify to the judges of probate of the several counties the names of all candidates for President and Vice President who are nominated by any national convention or other like assembly of any political party or by written petition signed by at least 5,000 qualified voters of this state. (b) The certificate of nomination by a political party convention must be signed by the presiding officer and secretary of the convention and by the chair of the state executive or central committee of the political party making the nomination. Any nominating petition, to be valid, must contain the signatures as well as the addresses of the petitioners. Such certificates and petitions must be filed in the office of the Secretary of State no later than the 6th day of September next preceding the day fixed for the election. Alaska Stat. § 15.30.090. : Alaska Statutes – Section 15.30.090.: Duties of electors. at least, is not an inhabitant of this state. 1-4-304. Presidential electors. (5) Each presidential elector shall vote for the pair of presidential candidate and, by separate ballot, vice-presidential candidates candidate who received the highest number of votes at the preceding general election in this state. The presidential electors shall meet at the office of the Secretary of the State at twelve o’clock, noon, on the first Monday after the second Wednesday of the December following their election and, as required by the Constitution and laws of the United States, shall cast their ballots for President and Vice President. Each such elector shall cast his ballots for the candidates under whose names he ran on the official election ballot, as provided in section 9-175. If any such elector is absent or if there is a vacancy in the electoral college for any cause, the electors present shall, before voting for President and Vice President, elect by ballot an elector to fill such vacancy, and the person so chosen shall be a presidential elector, shall perform the duties of such office and shall cast his ballots for the candidates to whom the elector he is replacing was pledged. § 4303. Meeting and voting of electors. (a) The electors chosen or appointed in this State for the election of a President and Vice-President of the United States shall meet and give their votes at Dover on the day determined by Congress for that purpose. (b) In all cases, the electors chosen or appointed in this State for the election of a President and Vice-President of the United States under this chapter shall be required to cast their individual votes in accordance with the plurality vote of the voters in this State. Several sites report that the the District of Columbia has laws to punish faithless electors (http://en.wikipedia.org/wiki/Faithless_elector, http://archive.fairvote.org/?page=967, http://www.archives.gov/federal-register/electoral-college/electors.html). All sites reference DC code, Section 1-1312(g), but a search for this (and only without the letter) brings up a statute on property division D.C. Code § 1-1312 instead If you can find a statute regarding elector obligations, please post it in the comments. Official DC Code is available through Lexis-Nexis. § 1-1001.08. Qualifications of candidates and electors; nomination and election of Delegate, Mayor, Chairman, members of Council, and members of Board of Education; petition requirements; arrangement of ballot. (d) Each political party which had in the next preceding election year at least 7,500 votes cast in the general election for a candidate of the party to the office of Delegate, Mayor, Chairman of the Council, or member of the Council, shall be entitled to elect candidates for presidential electors, provided that the party has met all deadlines set out in this subchapter or by regulation for the submission of a party plan for the election. The executive committee of the organization recognized by the national committee of each such party as the official organization of that party in the District of Columbia shall nominate by appropriate means the presidential electors for that party. Nominations shall be made by message to the Board on or before September 1st next preceding a presidential election. § 1-1001.10. Dates for holding elections; votes cast for President and Vice President counted as votes for presidential electors; voting hours; tie votes; filling vacancy where elected official dies, resigns, or becomes unable to serve. (a)(1) The elections of the officials referred to in § 1-1001.01(1), (2), (3), or (4) shall be held, at the request of the party, on either the 2nd Tuesday in February of each presidential election year or the 1st Tuesday in April of each presidential election year if there is a primary election already scheduled for other purposes on the date requested. The primary under § 1-1001.05(b) shall be held on the 1st Tuesday in April of each presidential election year. The electors, when convened, if both candidates are alive, shall vote by ballot for that person for president and that person for vice president of the United States, who are, respectively, the candidates of the political party or group which they represent, one of whom, at least, is not an inhabitant of this State. 2. Presidential electors. The presidential electors at large shall cast their ballots for the presidential and vice-presidential candidates who received the largest number of votes in the State. The presidential electors of each congressional district shall cast their ballots for the presidential and vice-presidential candidates who received the largest number of votes in each respective congressional district. (c) Voting by electors. — After taking the oath prescribed by Article I, § 9 of the Maryland Constitution before the Clerk of the Court of Appeals or, in the Clerk’s absence, before one of the Clerk’s deputies, the presidential electors shall cast their votes for the candidates for President and Vice President who received a plurality of the votes cast in the State of Maryland. Section 8. All certificates of nomination and nomination papers shall, in addition to the names of candidates, specify as to each, (1) his residence, with street and number, if any, (2) the office for which he is nominated, and (3) except as otherwise provided in this section and except for elections which are not preceded by primaries or political party caucuses, the political designation, if any, which he represents, expressed in not more than three words. This information, in addition to the district name or number, if any, shall be specified on the nomination paper before any signature of a purported registered voter is obtained and the circulation of nomination papers without such information is prohibited. Certificates of nomination made by convention or caucus shall also state what provision, if any, was made for filling vacancies caused by the death, withdrawal or ineligibility of candidates. The state committees of the respective political parties at a meeting called for the purpose shall nominate the presidential electors. The surnames of the candidates for president and vice president of the United States shall be added to the party or political designation of the candidates for presidential electors. Such surnames and a list of the persons nominated for presidential electors, together with an acceptance in writing signed by each candidate for presidential elector on a form to be provided by the state secretary, shall be filed by the state chairmen of the respective political parties not later than the second Tuesday of September. Said acceptance form shall include a pledge by the presidential elector to vote for the candidate named in the filing. To the name of each candidate for alderman at large shall be added the number of the ward in which he resides. To the name of a candidate for a town office who is an elected incumbent thereof there may be added the words “Candidate for Re-election”. 168.47 Convening of presidential electors; time and place thereof; resignations; refusal or failure to vote; vacancies. The electors of president and vice-president shall convene in the senate chamber at the capitol of the state at 2 p.m., eastern standard time, on the first Monday after the second Wednesday in December following their election. At any time before receipt of the certificate of the governor or within 48 hours thereafter, an elector may resign by submitting his written and verified resignation to the governor. Failure to so resign signifies consent to serve and to cast his vote for the candidates for president and vice-president appearing on the Michigan ballot of the political party which nominated him. Refusal or failure to vote for the candidates for president and vice-president appearing on the Michigan ballot of the political party which nominated the elector constitutes a resignation from the office of elector, his vote shall not be recorded and the remaining electors shall forthwith fill the vacancy. The ballot used by the elector shall bear the name of the elector. If at the time of convening there is any vacancy caused by death, resignation, refusal or failure to vote, neglect to attend, or ineligibility of any person elected, or for any other cause, the qualified electors of president and vice-president shall proceed to fill such vacancy by ballot, by a plurality of votes. When all the electors appear and the vacancy shall be filled, they shall proceed to perform the duties of such electors, as required by the constitution and laws of the United States. If congress hereafter fixes a different day for such meeting, the electors shall meet and give their votes on the day designated by act of congress. The original, alternate, and substituted presidential electors, at 12:00 M., shall meet in the executive chamber at the State Capitol and shall perform all the duties imposed upon them as electors by the Constitution and laws of the United States and this state. Each elector, as a condition of having been chosen under the name of the party of a presidential and a vice presidential candidate, is obligated to vote for those candidates. The elector shall speak aloud or affirm in a nonverbal manner the name of the candidate for president and for vice president for whom the elector is voting and then confirm that vote by written public ballot. If an elector fails to cast a ballot for the presidential or vice presidential candidate of the party under whose name the elector was chosen, the elector’s vote or abstention is invalidated and an alternate presidential elector, chosen by lot from among the alternates, shall cast a ballot in the name of the elector for the presidential and vice presidential candidate of the party under whose name the elector was chosen. The invalidation of an elector’s vote or abstention on the ballot for president or vice president does not apply if the presidential candidate under whose party’s name the elector was chosen has without condition released the elector or has died or become mentally disabled. SEC. 23-15-785. Certificates of nomination and nominating petitions; preparation of official ballots. (1) When presidential electors are to be chosen, the Secretary of State of Mississippi shall certify to the circuit clerks of the several counties the names of all candidates for President and Vice-President who are nominated by any national convention or other like assembly of any political party or by written petition signed by at least one thousand (1,000) qualified voters of this state. (2) The certificate of nomination by a political party convention must be signed by the presiding officer and secretary of the convention and by the chairman of the state executive committee of the political party making the nomination. Any nominating petition, to be valid, must contain the signatures as well as the addresses of the petitioners. Such certificates and petitions must be filed with the State Board of Election Commissioners by filing the same in the office of the Secretary of State not less than sixty (60) days previous to the day of the election. (3) Each certificate of nomination and nominating petition must be accompanied by a list of the names and addresses of persons, who shall be qualified voters of this state, equal in number to the number of presidential electors to be chosen. Each person so listed shall execute the following statement which shall be attached to the certificate or petition when the same is filed with the State Board of Election Commissioners: “I do hereby consent and do hereby agree to serve as elector for President and Vice-President of the United States, if elected to that position, and do hereby agree that, if so elected, I shall cast my ballot as such for —- for President and —- for Vice-President of the United States” (inserting in said blank spaces the respective names of the persons named as nominees for said respective offices in the certificate to which this statement is attached). (1) The electors shall meet in Helena at 2 p.m. on the first Monday after the second Wednesday in December following their election. (2) The electors shall vote by separate ballots for one person for president and one for vice president of the United States. 32-714. Presidential electors; vacancies; how filled; meeting; procedure. The Governor shall provide each presidential elector with a list of all the electors. If any elector is absent or if there is a deficiency in the proper number of electors, those present shall elect from the citizens of the state so many persons as will supply the deficiency and immediately issue a certificate of election, signed by those present or a majority of them, to the person or persons so chosen. In case of failure to elect by 3 p.m. of such day, the Governor shall fill the vacancies by appointment. After all vacancies are filled, the college of electors shall proceed with the election of a President of the United States and a Vice President of the United States and certify their votes in conformity with the Constitution and laws of the United States. Each at-large presidential elector shall cast his or her ballot for the presidential and vice-presidential candidates who received the highest number of votes in the state. Each congressional district presidential elector shall cast his or her ballot for the presidential and vice-presidential candidates who received the highest number of votes in his or her congressional district. NRS 298.025 Nominees of candidates who receive highest number of votes at general election become presidential electors. Presidential electors are not nominated at the primary election or placed upon the general election ballot, but the nominees of the presidential and vice presidential candidates who receive the highest number of votes at the general election thereby become the official presidential electors. The presidential electors shall perform the duties of such electors as required by law and the Constitution of the United States. NRS 298.050 Convening and voting for President and Vice President. The presidential electors, when convened, shall vote by ballot for one person for President and one person for Vice President of the United States, one of whom, at least, must not be an inhabitant of this State. The presidential electors shall vote only for the nominees for President and Vice President of the party or the independent candidates that prevailed in this State in the preceding general election. A. All presidential electors shall cast their ballots in the electoral college for the candidates of the political party which nominated them as presidential electors. B. Any presidential elector who casts his ballot in violation of the provisions contained in Subsection A of this section is guilty of a fourth degree felony. § 163-210. Governor to proclaim results; casting State’s vote for President and Vice-President. § 163-212. Penalty for failure of presidential elector to attend and vote. Any presidential elector having previously signified his consent to serve as such, who fails to attend and vote for the candidate of the political party which nominated such elector, for President and Vice-President of the United States at the time and place directed in G.S. 163-210 (except in case of sickness or other unavoidable accident) shall forfeit and pay to the State five hundred dollars ($500.00), to be recovered by the Attorney General in the Superior Court of Wake County. In addition to such forfeiture, refusal or failure to vote for the candidates of the political party which nominated such elector shall constitute a resignation from the office of elector, his vote shall not be recorded, and the remaining electors shall forthwith fill such vacancy as hereinbefore provided. The clear proceeds of forfeitures provided for in this section shall be remitted to the Civil Penalty and Forfeiture Fund in accordance with G.S. 115C-457.2. 505.40 Electoral vote to be cast for party nominees. A presidential elector elected at a general election or appointed pursuant to section 3505.39 of the Revised Code shall, when discharging the duties enjoined upon him by the constitution or laws of the United States, cast his electoral vote for the nominees for president and vice-president of the political party which certified him to the secretary of state as a presidential elector pursuant to law. §26 10 102. Oath for Presidential Electors. Every party nominee for Presidential Elector shall subscribe to an oath, stating that said nominee, if elected, will cast his ballot for the persons nominated for the offices of President and Vice President by the national convention of his party. Said oath shall be notarized by a notary public and filed with the Secretary of the State Election Board no fewer than ninety (90) days prior to the General Election. Failure of any party nominee to take and file said oath by said date shall automatically vacate his nomination and a substitute nominee shall be selected by the state central committee of the appropriate political party. It shall be the duty of the Secretary of the State Election Board to notify the chairman of the state central committee of the failure of any nominee to file said oath. Any Presidential Elector who violates his oath as a Presidential Elector shall be guilty of a misdemeanor and, upon conviction thereof, shall be punished by a fine of not more than One Thousand Dollars ($1,000.00). Laws 1974, c. 153, § 10 109, operative Jan. 1, 1975. 248.355 Selection of presidential electors; candidate’s pledge. 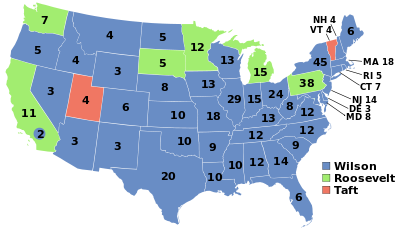 (1) In a year when a President and Vice President of the United States are to be nominated and elected, each political party nominating candidates for those offices shall select a number of candidates for elector of President and Vice President equal to the total number of Senators and Representatives to which this state is entitled in Congress. SECTION 7-19-80. Candidate for elector shall declare for which candidates he will vote; elector shall vote for candidates for whom he declared. Each candidate for presidential and vice-presidential elector shall declare which candidate for president and vice-president he will vote for if elected. Those elected shall vote for the president and vice-president candidates for whom they declared. Any person selected to fill a vacancy in the electoral college shall vote for the candidates the elector whose place he is taking had declared for. The declaration shall be made to the Secretary of State on such form as he may require not later than sixty days prior to the general election for electors. No candidate for president and vice-president elector shall have his name placed on the ballot who fails to make such declaration by the prescribed time. Any elector who votes contrary to the provisions of this section shall be deemed guilty of violating the election laws of this State and upon conviction shall be punished according to law. Any registered elector shall have the right to institute proper action to require compliance with the provisions of this section. The Attorney General shall institute criminal action for any violation of the provision of this section. Provided, the executive committee of the party from which an elector of the electoral college was elected may relieve the elector from the obligation to vote for a specific candidate when, in its judgment, circumstances shall have arisen which, in the opinion of the committee, it would not be in the best interest of the State for the elector to cast his ballot for such a candidate. (a) The electors shall meet at the seat of government of this state at the time prescribed by the laws of the United States and perform the duties required of them by the laws of the United States. (b) The governor shall immediately deliver to the electors present a certificate of all the names of the electors. (c)(1) The electors shall cast their ballots in the electoral college for the candidates of the political party which nominated them as electors if both candidates are alive. (2) If the presidential candidate of the party is dead or both the presidential and vice presidential candidates of the party are dead, the electors may cast their ballots in the electoral college as they see fit. (3) If the vice presidential candidate of the party is dead, the electors shall cast their ballots in the electoral college for the presidential candidate of the political party which nominated them as electors but may cast their ballots in the electoral college for vice president as they see fit. (1) The electors shall meet at the office of the lieutenant governor at the state capitol at noon of the first Wednesday of the January after their election, or at noon of any other day designated by the Congress of the United States of America. (2) After convening, the electors shall perform their duties in conformity with the United States Constitution and laws. (3) Any elector who casts an electoral ballot for a person not nominated by the party of which he is an elector, except in the cases of death or felony conviction of a candidate, is considered to have resigned from the office of elector, his vote may not be recorded, and the remaining electors shall appoint another person to fill the vacancy. Current through 2013 First Special Session. After adjournment of the platform convention of a major political party, the chairman and secretary of the convention shall promptly execute a sworn statement certifying the names, towns of residence, and correct mailing addresses of the persons nominated by the convention to serve as electors, and shall promptly file the statement with the secretary of state, along with the written consent of each person to be a nominee for elector. The electors shall meet at the state house on the first Monday after the second Wednesday in December next following their election, to vote for president and vice-president of the United States, agreeably to the laws of the United States. If there is a vacancy in the electoral college on that day, occasioned by death, refusal to act, neglect to attend, failure of a person elected to qualify, or for other cause, the other electors present shall at once fill such vacancy viva voce and by a plurality of votes. When all the electors appear or a vacancy therein is filled, the electors shall perform the duties required of them by the constitution and laws of the United States. If a vacancy occurs and is filled as aforesaid, the electors shall attach to the certificate of their votes a statement showing how such a vacancy occurred and their action thereon. The electors must vote for the candidates for president and vice-president who received the greatest number of votes at the general election. The qualified voters of the Commonwealth shall choose the Commonwealth’s electors for President and Vice President of the United States at the general election in November 1996, and every fourth year thereafter. Each voter shall vote for a number of electors which equals the whole number of senators and representatives to which the Commonwealth at that time is entitled in the Congress of the United States. The electors shall convene at the capitol building in the capital city of the Commonwealth at 12:00 noon on the first Monday after the second Wednesday in December following their election. Those electors present shall immediately fill, by ballot and by a plurality of votes, any vacancy due to death, failure or inability to attend, refusal to act, or other cause. When all electors are present, or the vacancies have been filled, they shall proceed to perform the duties required of such electors by the Constitution and laws of the United States. Electors selected by the state convention of any political party as defined in § 24.2-101 shall be required to vote for the nominees of the national convention to which the state convention elects delegates. Electors named in any petition of qualified voters as provided in § 24.2-543 shall be required to vote for the persons named for President and for Vice President in the petition. In the year in which a presidential election is held, each major political party and each minor political party or independent candidate convention that nominates candidates for president and vice president of the United States shall nominate presidential electors for this state. The party or convention shall file with the secretary of state a certificate signed by the presiding officer of the convention at which the presidential electors were chosen, listing the names and addresses of the presidential electors. Each presidential elector shall execute and file with the secretary of state a pledge that, as an elector, he or she will vote for the candidates nominated by that party. The names of presidential electors shall not appear on the ballots. The votes cast for candidates for president and vice president of each political party shall be counted for the candidates for presidential electors of that political party; however, if the interstate compact entitled the “agreement among the states to elect the president by national popular vote,” as set forth in RCW 29A.56.300, governs the appointment of the presidential electors for a presidential election as provided in clause 9 of Article III of that compact, then the final appointment of presidential electors for that presidential election shall be in accordance with that compact. (1) The electors for president and vice president shall meet at the state capitol following the presidential election at 12:00 noon the first Monday after the 2nd Wednesday in December. If there is a vacancy in the office of an elector due to death, refusal to act, failure to attend or other cause, the electors present shall immediately proceed to fill by ballot, by a plurality of votes, the electoral college vacancy. When all electors are present, or the vacancies filled, they shall perform their required duties under the constitution and laws of the United States. (2) The presidential electors, when convened, shall vote by ballot for that person for president and that person for vice president who are, respectively, the candidates of the political party which nominated them under s. 8.18, the candidates whose names appeared on the nomination papers filed under s. 8.20, or the candidate or candidates who filed their names under s. 8.185(2), except that at least one of the persons for whom the electors vote may not be an inhabitant of this state. A presidential elector is not required to vote for a candidate who is deceased at the time of the meeting. (a) In a general election year, the state convention of a political party nominating candidates for president and vice-president of the United States shall nominate the party’s candidates for presidential electors and file certificates of nomination for these candidates with the secretary of state not later than thirty (30) days following termination of the state convention. (b) Independent candidates for president shall file the candidate’s nominees for presidential electors not less than seventy (70) days prior to the general election. The nominees shall be qualified electors. All Wyoming electors shall vote for the candidates for the office of president and vice-president receiving the highest number of votes in the Wyoming general election. The chief election official of each member state shall designate the presidential slate with the largest national popular vote total as the “national popular vote winner. The presidential elector certifying official of each member state shall certify the appointment in that official’s own state of the elector slate nominated in that state in association with the national popular vote winner. At least 6 days before the day fixed by law for the meeting and voting by the presidential electors, each member state shall make a final determination of the number of popular votes cast in the state for each presidential slate and shall communicate an official statement of such determination within 24 hours to the chief election official of each other member state. The chief election official of each member state shall treat as conclusive an official statement containing the number of popular votes in a state for each presidential slate made by the day established by federal law for making a state’s final determination conclusive as to the counting of electoral votes by Congress. In event of a tie for the national popular vote winner, the presidential elector certifying official of each member state shall certify the appointment of the elector slate nominated in association with the presidential slate receiving the largest number of popular votes within that official’s own state. If, for any reason, the number of presidential electors nominated in a member state in association with the national popular vote winner is less than or greater than that state’s number of electoral votes, the presidential candidate on the presidential slate that has been designated as the national popular vote winner shall have the power to nominate the presidential electors for that state and that state’s presidential elector certifying official shall certify the appointment of such nominees. Any member state may withdraw from this agreement, except that a withdrawal occurring 6 months or less before the end of a President’s term shall not become effective until a President or Vice President shall have been qualified to serve the next term. The chief executive of each member state shall promptly notify the chief executive of all other states of when this agreement has been enacted and has taken effect in that official’s state, when the state has withdrawn from this agreement, and when this agreement takes effect generally. Westlaw Topic Nos. 144, 360. On the first Monday after the second Wednesday in December, the electors meet in their respective States to cast their votes. The electors now are dedicated party activists of the winning party who meet briefly in mid-December to cast their totally predictable rubberstamped votes in accordance with their pre-announced pledges. 16% of Americans live in rural areas. Any candidate who ignored, for example, the 16% of Americans who live in rural areas in favor of a “big city” approach would not likely win the national popular vote. There have been 22,991 electoral votes cast since presidential elections became competitive (in 1796), and only 17 have been cast for someone other than the candidate nominated by the elector’s own political party. 1796 remains the only instance when the elector might have thought, at the time he voted, that his vote might affect the national outcome. If a Democratic presidential candidate receives the most votes, the state’s dedicated Democratic party activists who have been chosen as its slate of electors become the Electoral College voting bloc. If a Republican presidential candidate receives the most votes, the state’s dedicated Republican party activists who have been chosen as its slate of electors become the Electoral College voting bloc. The winner of the presidential election is the candidate who collects 270 votes from Electoral College voters from among the winning party’s dedicated activists. Pingback: Does Your Vote Really Count? | The wisdom of women to thrive with purpose. Thank You for taking the time to explain this very complicated system. You are welcome. I am happy that it’s been of use to people (but not happy about why people have cause to read it this year). North Dakota also isn’t bound. Yeah, thanks, the first half of the article is about North Dakota not being bound. I guess I could add it to the list at bottom for people who don’t read the article. Pingback: What is the electoral college? | ...Or else what happens?